If you are seeking to procure construction insurance then you also need to have good negotiation skills to obtain the best package at the best possible price point. If you are an architect or an engineer, then the professional liability insurance policy and the policy deductibles are important variables to consider when taking on a project. You may want to enlist the aid of an insurance broker or brokerage firm to help you locate the best insurance premium and policy terms at a favourable price. Multiple bids are typically obtained from the different established brokerage firms in order to help you get a sense of what types of policies are available and at what price points. Or, if you do not want to be this aggressive, you can select one insurance brokerage firm and have them work up several bids for you to review, with different components or terms in each bids to give you a broad sense of what is available. After obtaining different bids you should evaluate the various proposals based on set parameters, with the best terms and premium rates determining which bid you select. 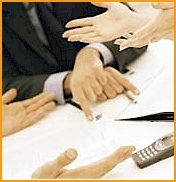 The brokerage firm should ensure that you understand the fine print and have a good grasp of the issues that are conveyed in the bids that you are reviewing – if you do not have an in-depth understanding of all variances and clauses then have the brokerage firm spend more time with you to properly evaluate a bid. A good insurance company helps its clients not only during the actual construction process but will also represent its clients if a claim is pursued during the life of a project. It will also provide advice about policy utilization, which can prove highly beneficial when dealing with loss prevention and pre-claims and/or other types of disputes covered by the policy. The insurance company should act as an advocate on behalf of its client on any issues that are covered by the actual policy it has underwritten.